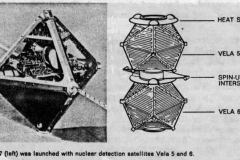 Environmental Research Satellites 17 & 18, part of the Octahedral Research Satellite Mark III series, were designed to provide a complete monitoring of radiation in space and to study the radiation background problems associated with the nuclear test detection devices on the Vela Satellite Program. ERS 17/18 were developed to measure ionizing radiation throughout the magnetosphere up to the altitudes of the Vela satellites. 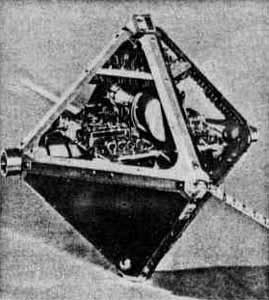 ERS-17 Launch smERS 17 was launched into a highly elliptical orbit on July 20, 1965 along with the Vela 3A and 3B satellites. The initial apogee altitude was 112,200 km and perigee altitude was 192 km, which resulted in a orbital period of 43 hours. The orbital plane was inclined about 58o southward from the ecliptic plane and about 80o from the earth-sun line. The initial satellite spin rate was 6 RPM and inclined about 30o from the earth-sun line. ERS 17 returned data for about 3.5 months when a premature termination of the one-year end of life timer on November 3, 1965. 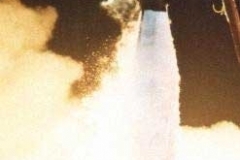 ERS 18 was launched on 28 April 1967 along with the Vela 4A and 4B satellites. The orbit had a 111,200 km apogee and 8,600 km perigee. 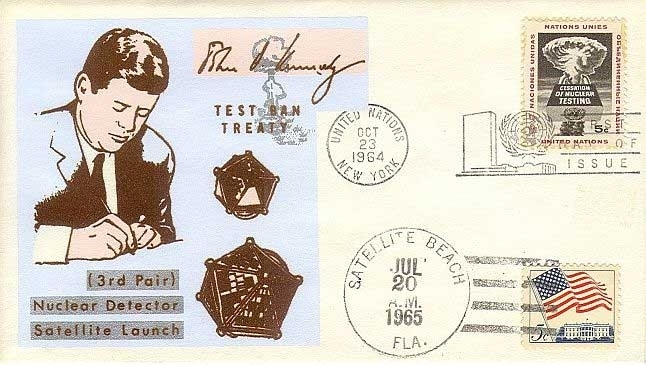 Data were received until June 2, 1968. The objective of the ERS 17/18 satellites was to provide a more complete monitoring in space and to study the radiation background problems associated with nuclear detection satellites at altitudes extending throughout the magnetosphere to ~18 earth radii. 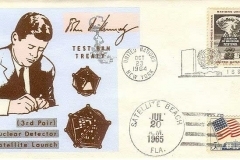 The satellites provided a monitor for the increase of trapped radiation fluxes caused by the injection of electrons resulting from nuclear detonations in near space. 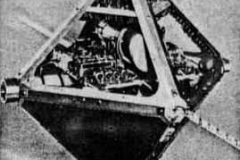 The completed satellite weighed 14.4 pounds (6.55 kg). The solar cells on each octahedron face provided about 4 Watts of unregulated power. The instruments received 0.6 Watts at 9 Volts. Thermal control was achieved through passive thermal design, and 20oC was the nominal temperature with excursions to freezing during perigee eclipses (~30 minute duration). A sun sensor allowed estimation of the spin axis aspect with respect to the solar direction. The Cosmic Gamma-Ray Experiment on ERS-17 measured incident gamma-ray flux in five energy bands from 30 keV to 10 MeV, as well as cosmic ray particle flux above 10 MeV. The single detector unit consisted of a large NaI(Tl) crystal, 5.04 cm in diameter by 5.72 cm long, enclosed in a 0.3 cm thick NE-102 plastic scintillator. This assembly was optically coupled to an RCA 4461 photomultiplier tube. Events arising from the NaI(Tl) produced scintillations with a long rise and decay, whilst events in the plastic exhibited much faster decay times. Gamma-rays were discriminated from charged particles by electronic circuitry that required the presence of a long pulse and the absence of a fast one. The rates were collected in five energy bands: 33-75 keV, 75-365 keV, 0.365-1.07 MeV, 1.07-3.54 MeV, and 3.54-10.3 MeV. Events above 10.3 MeV were also monitored and represented cosmic rays. 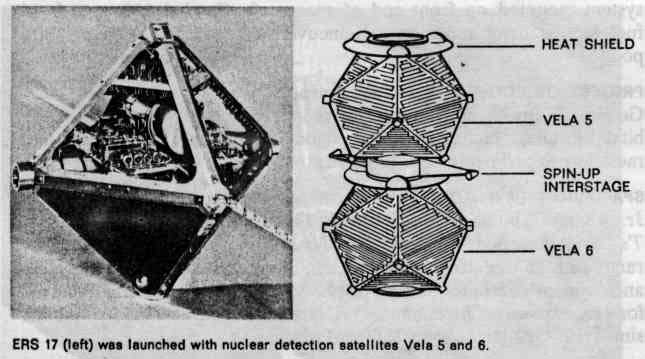 ERS-18 carried two gamma-ray detectors: one shielded with graphite to stop low energy protons and electrons and providing a measurement of gamma-rays in the 1-3MeV range, and a variation of the ERS-17 system with a separate photomultiplier viewing the plastic scintillator. The Shielded Gamma-ray Counter consisted of a 1.91 cm long by 1.91 cm diameter NaI(Tl) scintillation crystal within a carbon cylinder 1.75 cm thick. The NaI(Tl) crystal was viewed by a RCA 4460 photomultiplier. The Dual Gamma-ray Counter consists of a 7.62 cm long by 6.72 cm diameter NaI(Tl) crystal viewed by a RCA 4461 photomultiplier. Surrounding the NaI(Tl) crystal on all but the side attached to the photomultiplier is a bucket of NE-102 plastic scintillator viewed by a separate RCA 4461 photomultiplier. Events in the NaI(Tl) seen simultaneously by the plastic scintillator were rejected as due to charged particles. This anticoincidence function was regularly switched on and off to allow for monitoring of its efficiency at charged particle rejection. Cosmic gamma-ray fluxes were measured in five energy ranges: 0.250-0.600 MeV, 0.6-1.0 MeV, 1-2 MeV, 2-3.7 MeV, and 3.7-6 MeV. Vette, J.I., Gruber, D.E., Matteson, J.L., and Peterson, L.E., “The Cosmic Gamma-Ray Spectrum Near One MeV Observed by the ERS-18 Satellite”, in Proceedings of IAU Symposium No. 37, Non-Solar X- and Gamma-Ray Astronomy, ed. Gratton, (D. Reidel Pub. :Dordrecht, Holland), 315, (1970). Vette, J.I., Gruber, D.E., Matteson, J.L., and Peterson, L.E., “A New Component of Cosmic Gamma-Rays Near One MeV Observed by the ERS-18 Satellite”, Ap. J., 160, L161, (1970).